[1.6.4] Better Snow Mod - Snow piles up, more layers of snow, and more! Forge-compatible! Poll: Which of these APIs would you like to see bettersnow ported to? How would you like to see BetterSnow explanded? Poll: Which of these should be added to BetterSnow first? Poll: Does BetterSnow cause any lag? Poll: Do you use the GUI for editing the settings for BetterSnow? Sorry for any errors, typos, missing images, and random text. MCF exploded (TWICE) and corrupted this page. More settings! Done! Numeric settings are now functional! Snow drops snowballs based on it's height Done! Fix various bugs Done! The biggest long-time bugs are now patched! Increase compatibility Done! Now includes forge support! 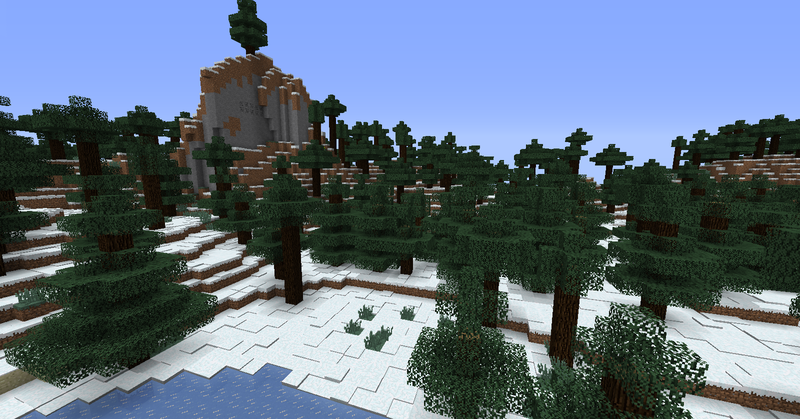 Snow piles up under trees and non-solid blocks Done! Snow now falls and generates under trees! By downloading any version of BetterSnow, you agree to the License Agreement below. A changelog can be found here. It contains all changes starting at 1.6.1b. Sources for versions 1.6.4a+ can be found here. Links to older versions were lost due to a MCF glitch. If you need an older version comment on this post and I will gladly add the link! If you like BetterSnow, then you should also try AllSnow Mod! OWNER - , Original author(s) of the MOD. Under the copyright terms accepted when purchasing Minecraft (http://minecraft.net/terms ) the OWNER has full rights over their MOD despite use of MOJANG code. 4. DERIVATIVE WORKS/MODIFICATIONThis MOD is provided freely and may be decompiled and modified for private use, either with a decompiler or a bytecode editor. Public distribution of modified versions of this MOD require advance written permission of the OWNER and may be subject to certain terms. Thanks! I'm glad you like it! I actually wrote this a few months ago, but my friends have been pushing me to release it, so I finally broke down and decided that I might as well make it into a Christmas present of sorts. I have not tested this with Minecraft forge, I only tried it with my current set of mods. I did try it in 1.3.2 and it was not compatible. But i have since re-written the mod, and it may now be. I also only launch mods with magiclauncher, so forge sometimes behaves weird anyway. Cool! Minecraft needs mods like this! Great mod! I'm going to go ahead and bookmark this. I hate snow, but I do love realism. So I will try this out. EDIT: I like it! The weird behavior with the stacking snow is a bug that i am fixing. Do you mind if I embed your video into the original post? Cool Mod. Gonna test if the snow melts during the spring and summer of the seasons mod though. It should. The snow melting is based on light levels, so as long the mod does not change those it should work. This also means snow does not melt at night. Nice idea! I'm gonna download it. Tell me if you find any bugs or incompatible mods! Does this make a whole new IDs for the snow blocks or does it use the damage value for snow block? behave strangely as in they turn back into solid snow blocks with different heights or something else unpredictable entirely? They turn back into one of 8 different heights (all above data 8 are the biggest size) and if they are above value 4 they have the hit-box of a half-slab. Also all slowing effects and whatnot are gone. Still cool mod on how snow really works! Yet another idea that needs to be shouted at Dinnerbone. Hah. Glad to see someone pick this mod idea up again. It seems to keep getting passed around in the community a lot. (Scokeev9's Better Snow mod/mDiyo's World Tweaks mod/etc.) I'll quickly run a test with MineCraft Forge since nobody has made any report on it. Ah alright that'd be just dandy then I'll have no problem installing this mod now. Ah but is there perhaps an option to turn off the slowing effect? Okay, I tested this mod with Forge version 6.5.0.480. The game does load without any issues, but when you go to open or create a world, it freezes at the "Loading World" page and returns this error message. So for anyone wondering about MineCraft Forge, there you go. EDIT: Had to shrink the font size to get it to look the same way as in the crash log.